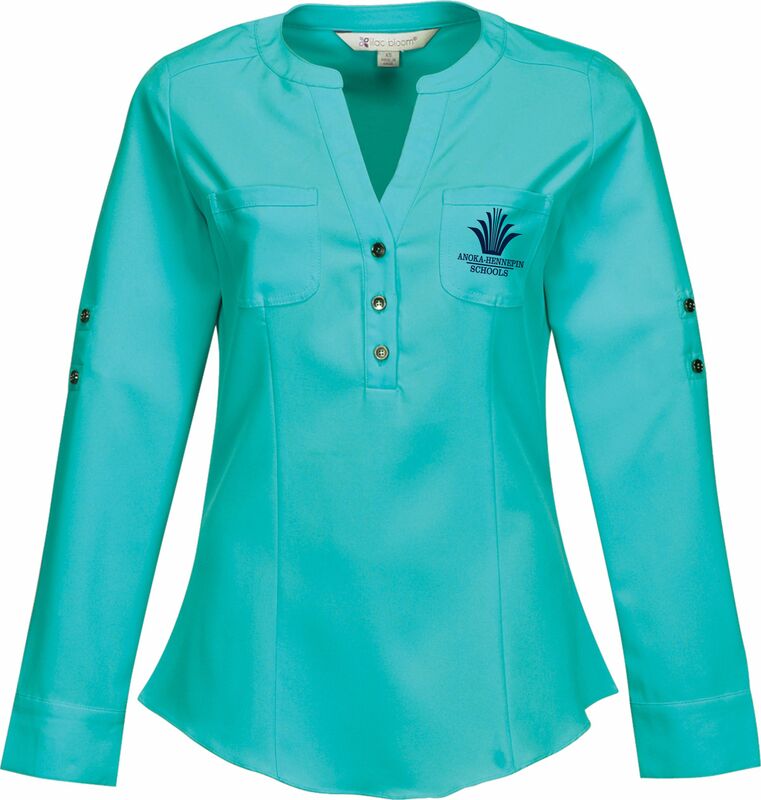 Accented with adjustable roll-up sleeves with tabs for a versatile look. Chest pockets and silver buttons. Front vertical darts and back princess seams provide a flattering fit. Back yoke and rounded sweep.